At Premier Travel, we are pleased to offer a selection of exclusive Coach Trips including a coach pick up from various locations around East Anglia. Not only can we offer excellent value for money, we can take the hassle out of getting there, leaving you to sit back and relax. Fishguard has an enviable location overlooking the tranquillity of Fishguard Bay and set at the gateway to the spectacular Pembrokeshire Coast National Park. It was also the last place in Britain to be invaded in the late 18th century, as well as the scene of the film version of Dylan Thomas’s famous ‘Under Milk Wood’. 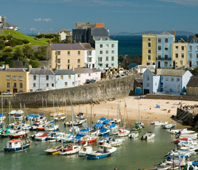 Divided into an upper and lower town it still has a thriving centre and bustling port and is the perfect base to discover the natural beauty and coastline of Pembrokeshire. Deep in the Gloucestershire countryside, amid rolling Cotswold hills and lush green meadows, ‘Adam’s Farm’ has become a firm Sunday night favourite on BBC’s Countryfile. Our five day break continues the TV theme as we visit the magnificent surrounds of Chavenage House - Candleford House in the hit drama Lark Rise to Candleford and also to Lacock, preserved by the National Trust and the backdrop to many TV dramas. When it comes to attractions, North Wales offers something to suit every taste… you will find there is just so much to do you’ll want to return time and time again. 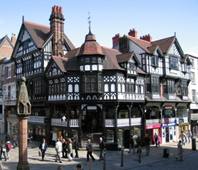 Often nicknamed ‘God’s Own County’ by its own proud inhabitants, Yorkshire is one of the most popular touring destinations for decades, famed for its glorious coastline, wonderful rolling countryside, sleepy villages, handsome market towns and historic cities. 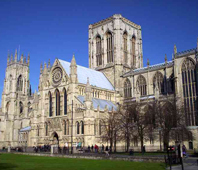 Based in one of Yorkshire’s most popular seaside resorts, we visit historic York, enjoy some wonderful scenic touring, and visit Eden Camp - a multiaward winning Modern History Theme Museum housed within the grounds of an original World War II prisoner of war camp. 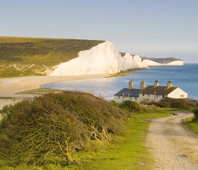 Lying on the headland of Selsey Bill, on the edge of the English Channel, South Downs Holiday Village is a compact and friendly venue where you can get to know your fellow holidaymakers right from the start. The site is flat, which is an added bonus, and it lies a comfortable half-mile walk from the beach lining Bracklesham Bay.